A delightful clump forming evergreen plant ideal for edging, container culture or simply adding colour to the front of garden beds and rockeries. Short but prolific stems of soft mauve/pink coloured flowers cluster together to form impressive round globes during spring which last well if cut for fresh posies. The attractive foliage comprises of fine grass-like leaves providing an interesting textural presence year round. Armerias are a hardy perennial found in a range of soil types and climatic conditions around the world ranging from storm-swept coastal zones through to alpine meadows. 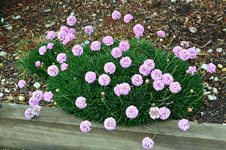 Grows well in full sun in most soil types given good drainage. Low watering requirements withstanding some dryness but should be watered regularly during extended periods of heat. No pruning required although trimming off spent flowers will encourage further flushes. An application of a slow release fertiliser in late spring is recommended. Rock or gravel gardens, containers, edging for paths or garden beds, Japanese style gardens, small filler for perennial borders. Armerias are low growing and therefore should always be planted towards the front of a garden display to be visible. 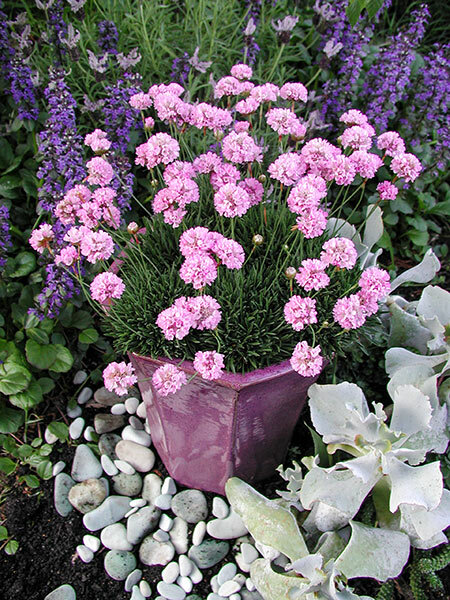 In containers they can be planted alone, mixed with taller growing plants or those with broader foliage for contrast. Colour Schemes: For soft harmony: other shades of pink, purples - any shade, blues - any shade, white, silvery foliage. 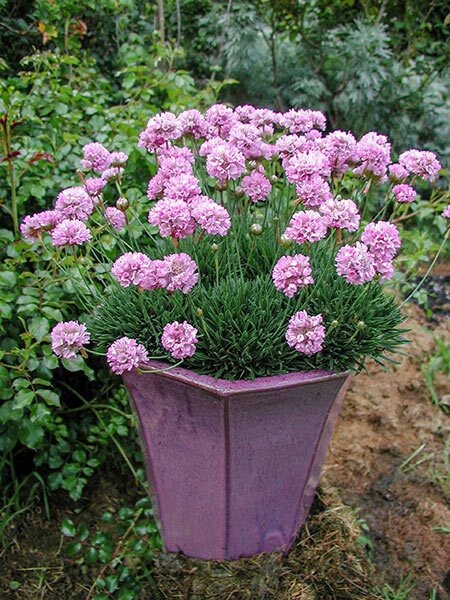 For vibrant contrasts: deep purples, plum, burgundy or darker shades of blue, lime or silver (usually foliage plants).